Here’s a photograph of the Van Vliet Flower Group’s tour waggon parked up at one of northern Englands newest music venues, the Don Van Vliet Lounge (click on the pictures for larger images). 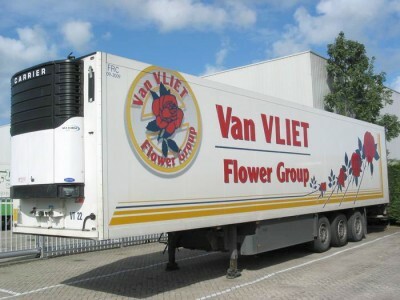 Sadly, the Van Vliet Flower Group is a multinational wholesaler of flowers and is not yet the name of a Captain Beefheart tribute band. The Don Van Vliet Lounge is just one of a suite of rehearsal rooms named after old musicians at the newly opened Rock and Roll Circus in Leeds. no snappie repartee or reply but this and the other beefheartiverse posts much appreciated. somehow, I think Don would approve..breadtruck…flour..flower….yes! another kind of system, without 3 or so flabby grabs at your tincture, and a squibble hopping coolant, then I'm sure you'll find me there. Although I'm sure it's quite delicious in a roll up.